The empire ruled by The A.V. 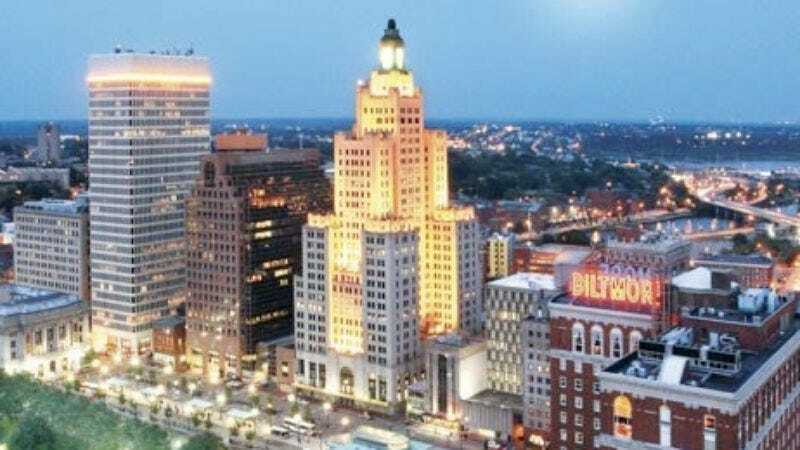 Club and The Onion continues to grow and the latest city to be added to this empire is Providence, Rhode Island. Both publications are now available in the streets of The Creative Capital so tomorrow, Thursday December 8, we’re throwing a party. It all goes down at Fete Music (103 Dike Street) with doors opening at 8:30 p.m. Musical entertainment will be provided by Jeff Pitchell & Texas Flood, there will be drink specials all night long, and the evening will be hosted by legendary and (in)famous former mayor Buddy Cianci. Send an email here to RSVP for the festivities.